“Don’t let the bedbugs bite!” our Moms always told us when they tucked us in at night, little dreaming that one day we might well need to do exactly that. 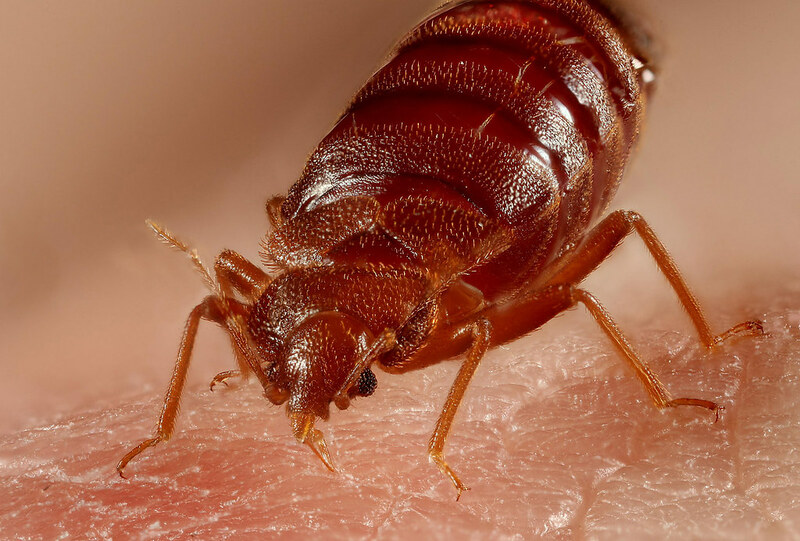 Unfortunately, not allowing bed bugs to bite you is far more difficult than you may suspect. As we transition from fall to winter bed bugs become increasingly common as they seek warmer climes to get away from the cold. The trouble with bed bugs is that they are so tiny and virtually impossible to detect visually, especially their eggs and their young (nymphs). They are amongst the most persistent pests on the planet, extremely adept at hiding in even the tiniest of nooks, crannies and crevices. What’s more, it can take us a while to notice it. Bed bugs are extremely difficult to see, not just because of their diminutive size, but because they are a mottled brown in color and their young are whitish yellow and translucent… Unless of course they’ve fed recently. While we, our loved ones and our pets sleep, they gorge on our blood. When this happens, they turn bloated and a reddish brown in color making them much more visible. Thus, if you can see a bed bug, it’s probably because it’s recently been snacking on you. You may well wonder how bed bugs are able to bite you when you are sound asleep without waking you up. This is actually because bed bugs actually inject a tiny amount of natural anaesthetic into you when they bite. Because our survival is integral to theirs, it’s not in their best interests to cause us pain which is likely why they also do not transmit diseases. They’re actually kind of considerate… As parasites go! However, when they bite us they do leave a nasty rash, which is not a good look on anyone! Finally, because they’re so hard to spot and such adept hiders, some pest control services use dogs to sniff bed bugs out. Dogs navigate the world by smell and while a bed bug nymph may be impossible to spot visually, a dog can smell one with pinpoint accuracy. Properly trained, dogs can smell the difference between a young and old bed bug and even a dead or living bed bug. This is why they are so effective in ensuring that an infestation is well and truly treated and that all vestiges are gone. Some products to help you with this issue.